강남스타일 | Let Teddy Win! 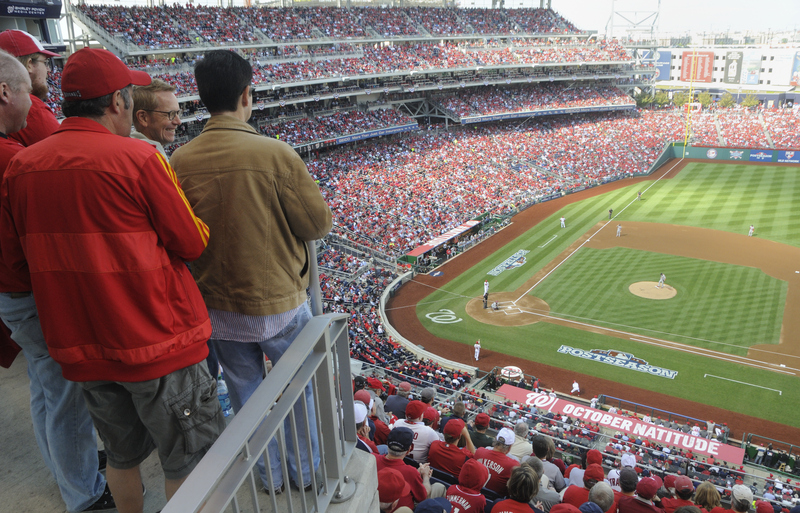 The Washington Nationals hosted the first playoff game in the team’s short history Wednesday, and area fans showed up in droves, crushing previous attendance records to pack the house with a record standing room only crowd of 45,027. Many of the usual stadium promotion breaks featuring in-game host Clint Khoury were usurped by Major League Baseball for the playoffs, so when the middle of the fourth inning arrived, the crowd rose to its feet and cheered as P.A. announcer Jerome Hruska announced presidents race. 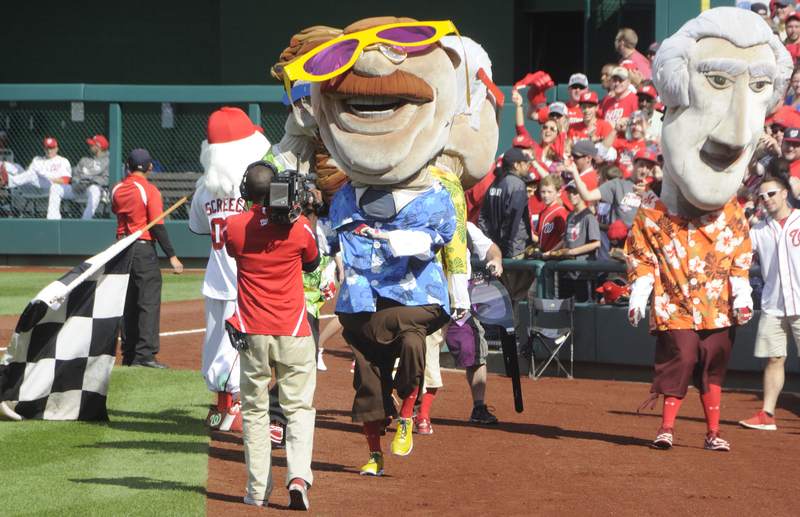 Coming off last week’s historic first win for Teddy Roosevelt, and with the record crowd on hand, fans were wondering what the Nationals would do for an encore. Speculation was rampant in social media circles. Would Teddy retire, or would he keep winning? Would the Nats introduce a new president? A rumor was spreading that the route might even change. In the end, the team used the extra long commercial break to revise a fan favorite from just last month. 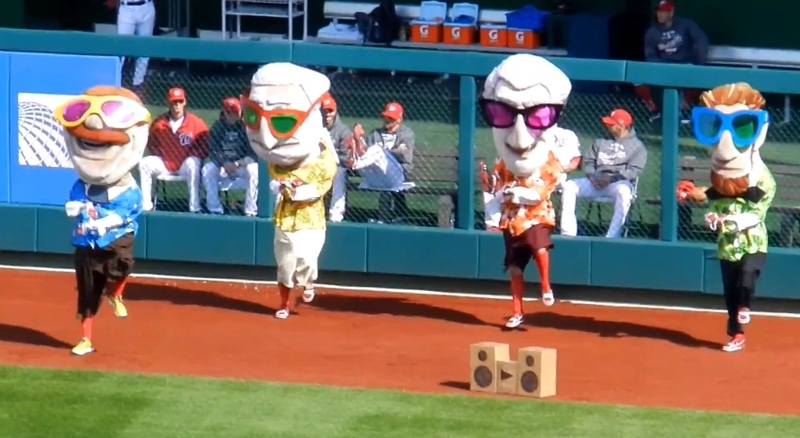 The September 1 race in which the racing presidents danced “Gangnam Style” is the most viewed video in Let Teddy Win history, amassing nearly a quarter million views in the month since since it was first shared. So, figuring you can’t get too much of a good thing, the Nats went back to the well, with a twist. 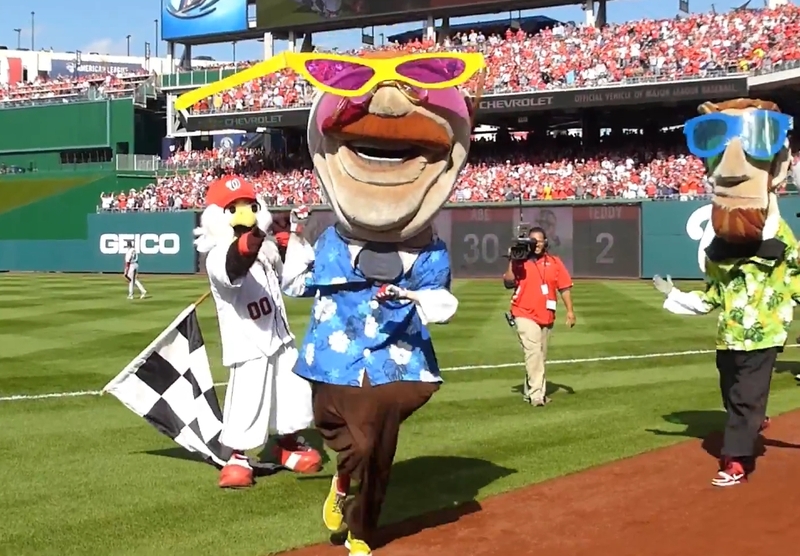 Teddy Roosevelt bolted out wearing sunglasses in the style of Korean dance pop star Psy, and was met in right field by Washington, Jefferson, and Lincoln, wearing similar glasses. 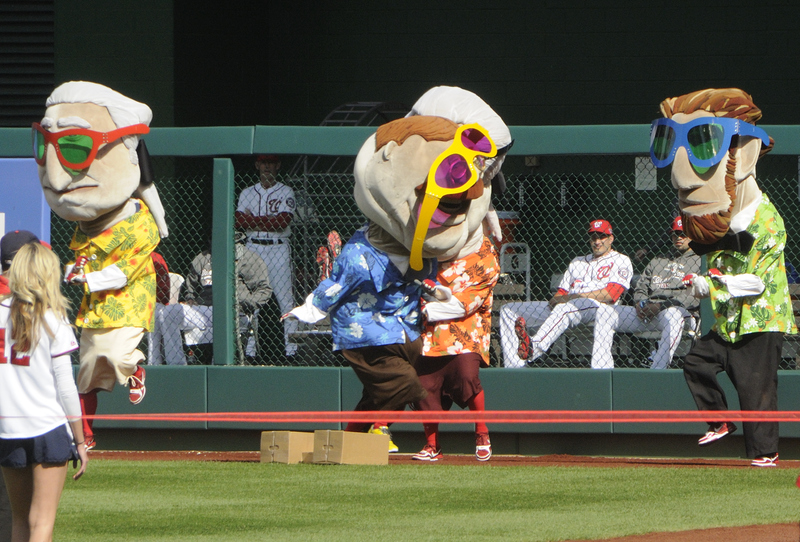 After shedding their uniforms for Hawaiian shirts, the presidents broke into the familiar dance to the delight of the crowd; but unlike September, when the other presidents left Teddy behind to head for the finish line, this time it was Teddy who turned the tables on the other Rushmores, stopping mid-dance to leave them in the dust. 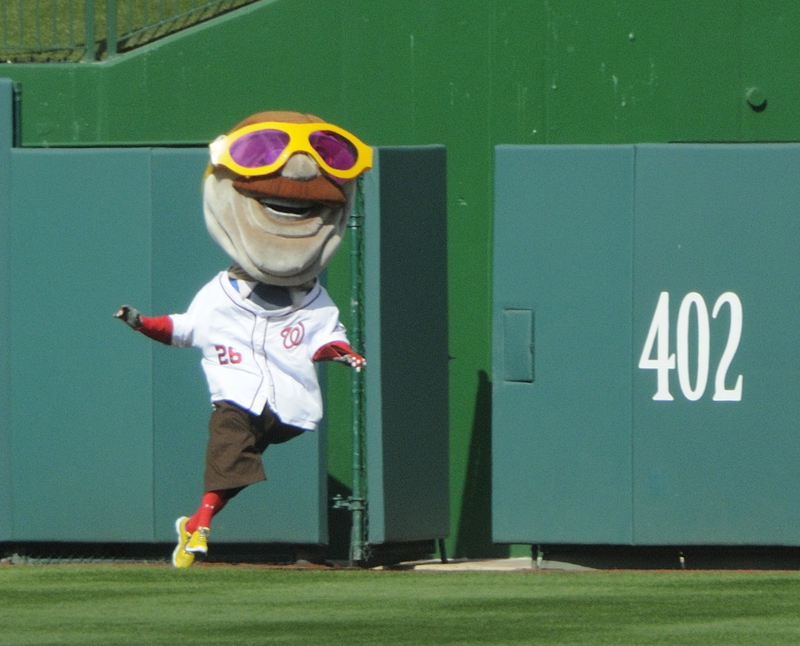 It was unfortunately one of the few highlights of the game for Nats fans. Unlike Teddy’s first win one week ago, the team did not respond with a barrage of hits to tie the game, and fell behind in the series to St. Louis, 2 games to 1. 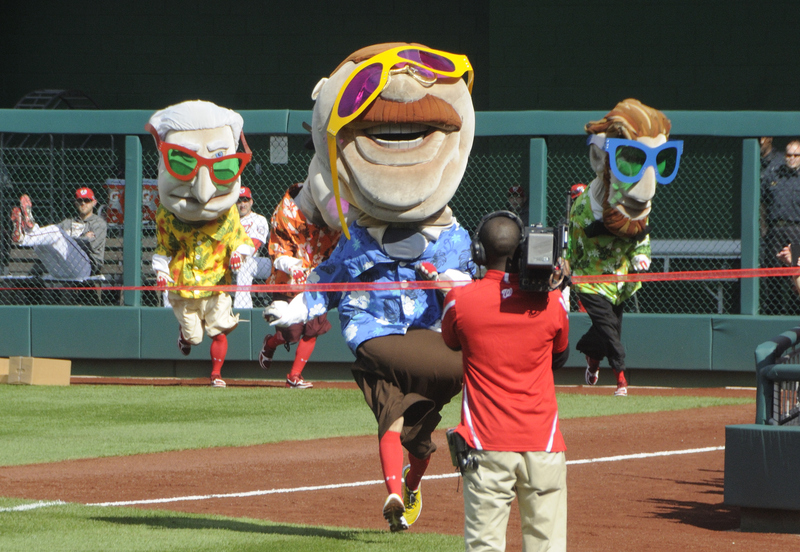 The racing presidents playoff standings are now Teddy 1, George 0, Tom 0, Abe 0.